WSRFS-17-BLK	| Write the first review! 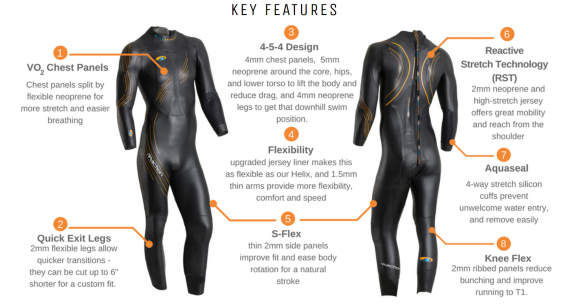 The Blueseventy Reaction wetsuit men has been improved with a more flexible upper body and new, thinner lower leg panels for quicker suit removal. Add to that a low neckline and VO2 chest panels, and you’ve got a suit that delivers everything you need in training and racing. 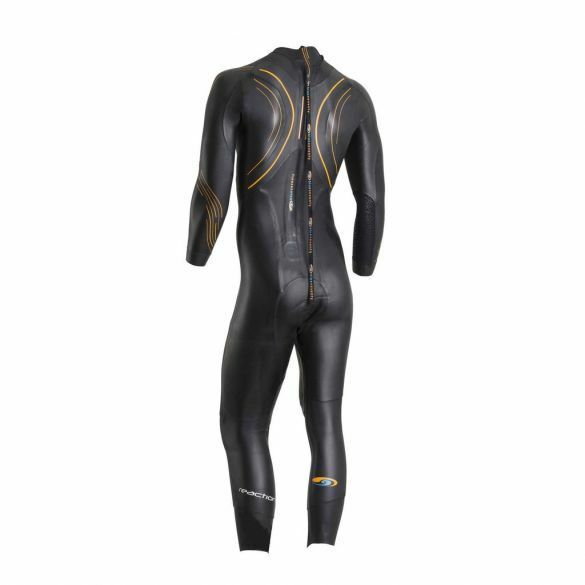 Every aspect of this suit is designed for high performance without sacrificing comfort. 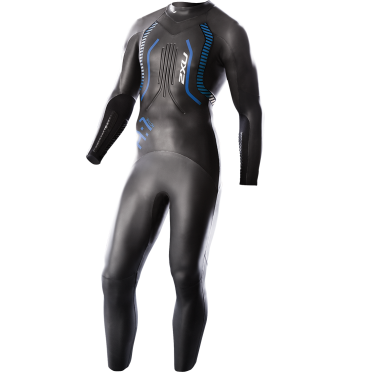 Since it’s introduction in 2006 the Reaction has helped more athletes accomplish their goals than any other wetsuit. 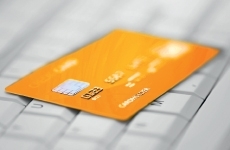 Your discount €20,-	(21% VAT included)	New! On stock! 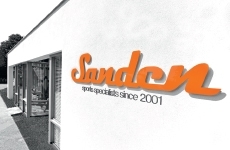 A blend of SCS coating, 2mm neoprene and the orange high stretch jersey improves arm mobility, reach and propulsion. The new Reaction benefits from 2mm thin Side Panels that begin at the arm gussets and end at the knee. 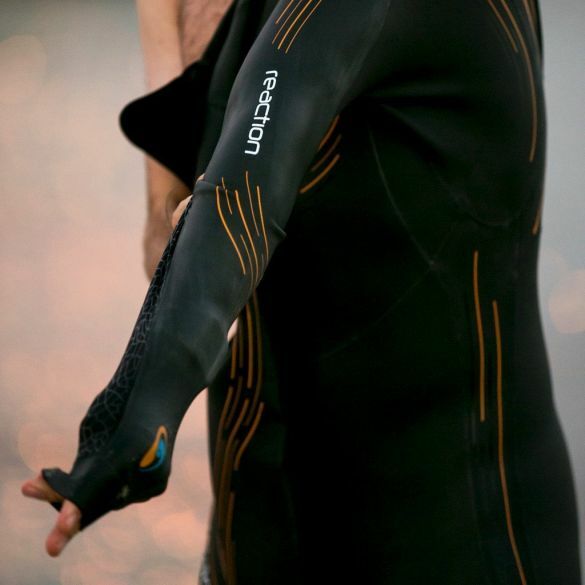 This technology improves fit and body position in the water without sacrificing buoyancy. A central split chest panel allow greater chest expansion and unimpeded breathing. Over twenty years of wetsuit design experience has made the traditional zipper an industry standard. The curved closure flap reduces rear collar height improving comfort and reducing chafing. The tube construction in the lower leg uses a single seam to maximize the flexibility and promote a quick release from your suit in transition. Liquid taping on the internal seam reinforces and allows you to cut the leg to your desired height. 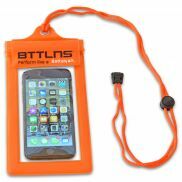 2mm panels assist with knee flexion by reducing bunching behind the knee and improve functionality when running to transition. 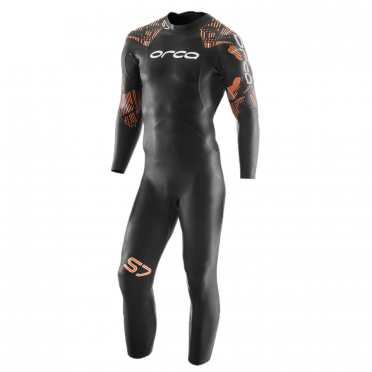 The exclusive honeycomb forearm print allows extra feel for the water and additional propulsion. The 4 way stretch fabric in the silicone cuffs seal the wrists from unwelcomed water entry, without catching when removing the suit. The Reaction tiers buoyancy 4-5-4 by centralizing core buoyancy to raise the position of the hips in relation to the rest of the swimmer. 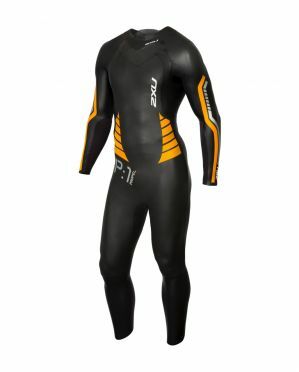 Two chest panels of 4mm accentuate natural lung buoyancy to optimize upper body position relative to the legs. 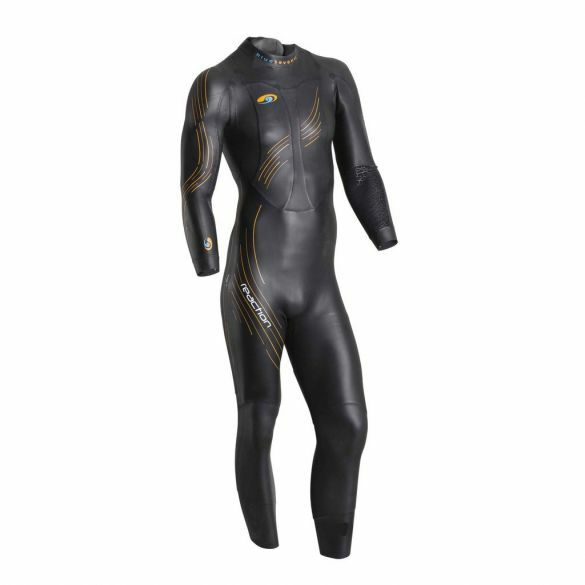 5mm neoprene supports the hips and lower torso, lifting the body in the water, reducing drag and improving speed. 5mm panels in the back of the hips are laterally orientated in order to facilitate a raised body position when you roll to the side during breathing. 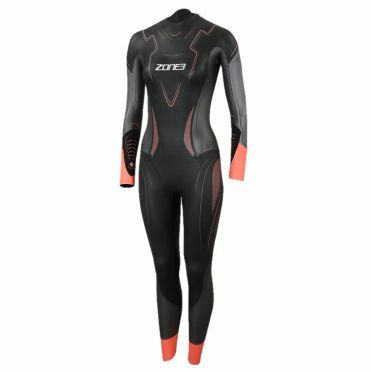 The striking bright orange inner jersey provides the Reaction's highly flexible 4 way stretch focused in the premium Yamamoto 39 cell 1.5mm thin arms, oversized arm gussets, center chest panel and tube legs.